I am just checking in since I have been a very bad blogger lately. I have not done any crafting or sewing since last week. Instead I cleaned out the kids closets, which gobbled up my sewing time. So there has been no progress on Harper's quilt. I did order a walking foot for my sewing machine to help with the quilting. Now I just need to do some practicing. The half marathon is this weekend. Although I have not really trained at all, I am still going to do the race. There is no way I can run the whole thing, so I am just going to go out there and do my best. I am trying to let go of any time goals I had and just enjoy the race. Since I can't have a post without photos, here are a few from this weekend. I only took a few. I think my camera might be lonely because she has not seen a whole lot of action lately. 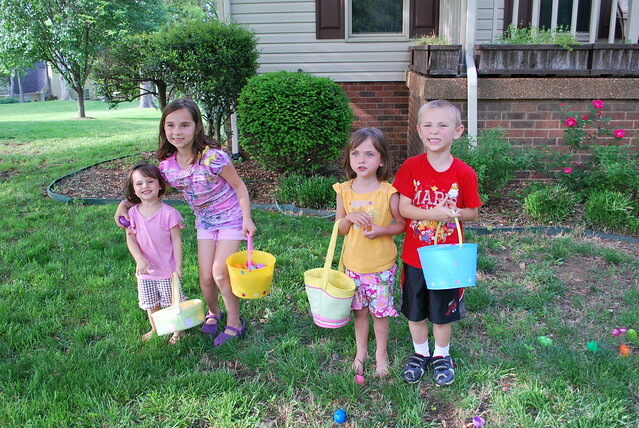 The kids easter egg huntin' with their cousins. 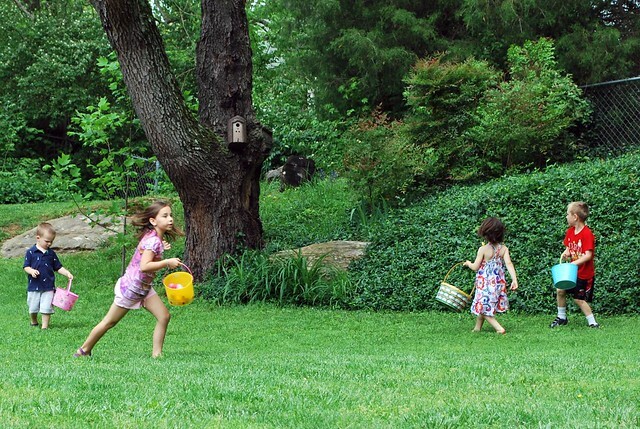 More easter egg huntin' with more cousins. 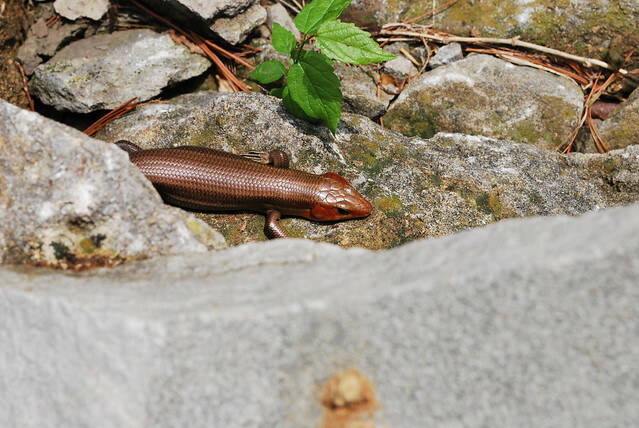 Our new friend that is living in our yard. He actually let the kids get so close to him that they were able to touch him. Welcome back! I've been off the grid lately too. The kids look like they had a great Easter. Good luck with the run. I will be thinking of you. Good luck with the run- you're more woman than me! Good luck in your race! You'll do an awesome job I am sure! How did it go?? I've been so "off" blogging - even checking blogs and email - lately too!